3D X Rays make imaging clear. We strive to keep abreast of the newest innovations in dental technology in order to provide you with the safest and most effective treatment options. Our 3D X ray technology allows us to take a CT of one tooth or your whole mouth in just a few seconds, which allows improved imaging at a very low radiation dose. We can visualize dental pain, infections, fractures, sinus, and jaw abnormalities much easier with this technology, which means a better and quicker understanding of any pain or concerns you may have. 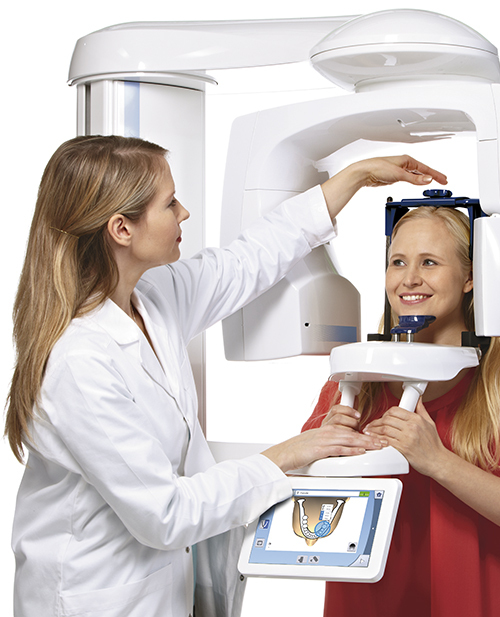 So much more than simple X rays, 3D CT technology takes dental imaging to the next level. With a clear view of the facial nerves and bone structures, we can customize your procedures, such as Implants, to protect your delicate nerve endings, thus minimizing pain and healing. And for those with small mouths or anatomy that are difficult to radiograph, we can use this technology for improved comfort for you!